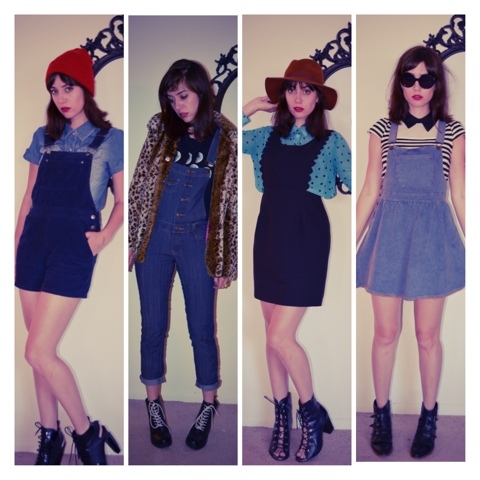 Overalls , dungarees , pinafores GALORE!! 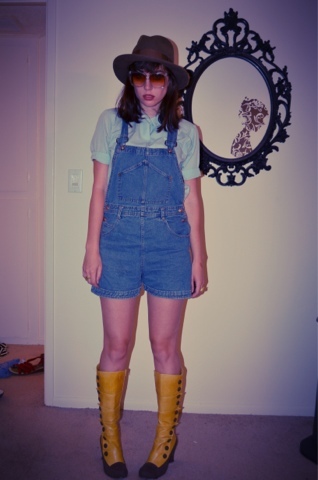 Overalls , dungarees, pinafores, whatever you call them doesn't matter because they are all amazing! 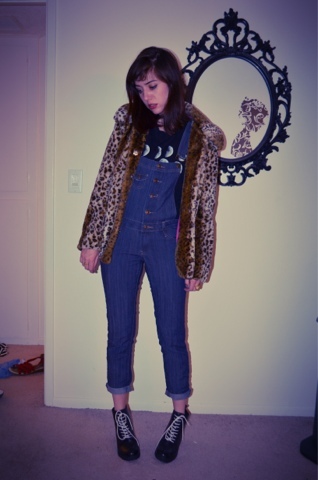 My first outfit : forever21 leopard coat, overalls. Steve Madden heels I put white laces in them. 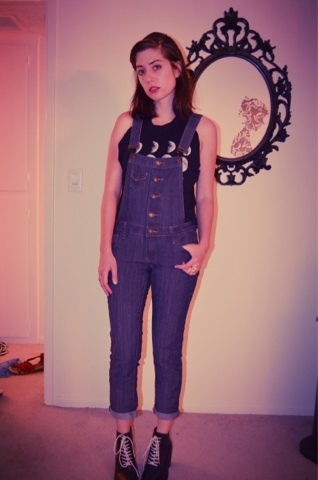 Brandy Melville moon top. 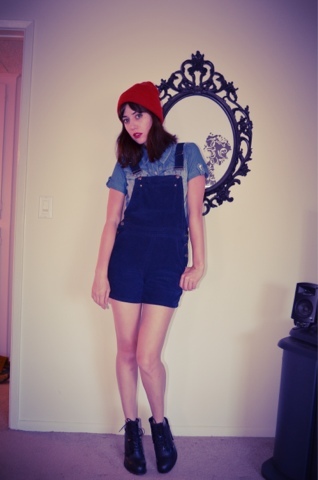 Second look: forever21 denim top, bdg blue cord overalls , Alexander wang boots . 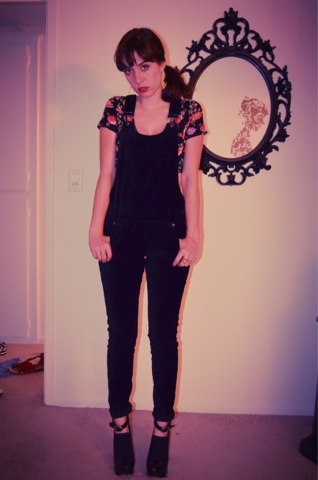 Third look: rvca black velvet overalls . 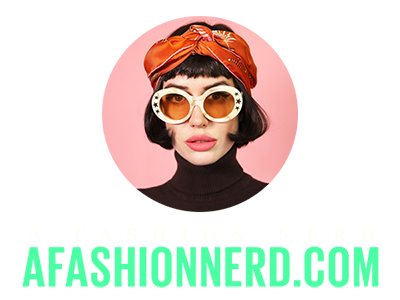 Modcloth floral crop top. Miista Hilda heels. 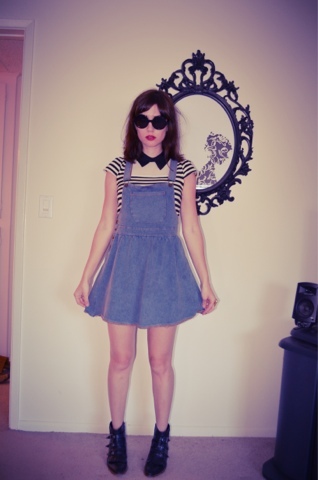 Fourth look: Modcloth jumper pleated, made shorter. 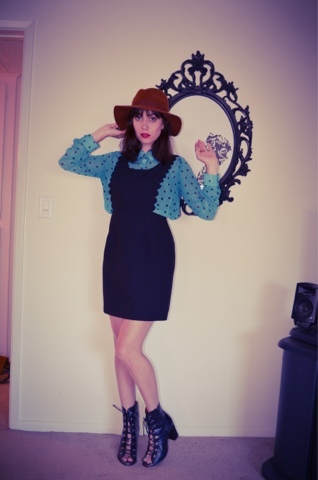 Miss patina blouse . 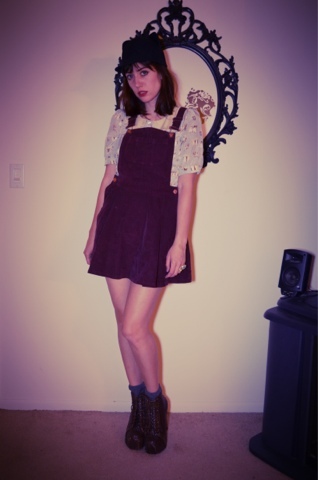 Fifth look: miss patina cat blouse, topshop overall dress , Jeffrey Campbell boots woven brown .